Mustard oil which is known in Hindi by the common name of ‘Sarso ka Tel’ is made from mustard seeds and is basically a vegetable oil made from mustard seeds which has a kind of weird smell and a dark yellowish color. It is manufactured by pressing the mustard seeds to extract the oil, or by grinding them and then distilling it. It is used almost everywhere in the subcontinent for cooking and is thought to be unfit to be used in consumed in the western world. It is rich in unsaturated and non-saturated fats and healthy for general use not just for hair but for overall consumption. It was a vogue in the ancient roman and Greek civilizations for maintaining hair health. 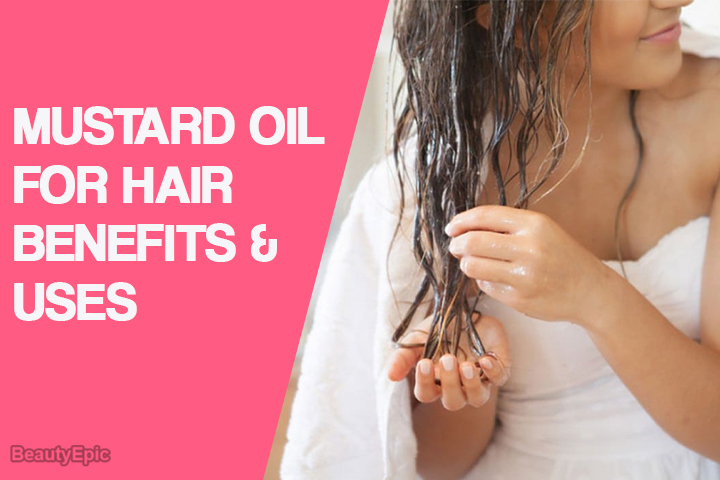 Let us read to know benefits and uses of mustard oil for hair. 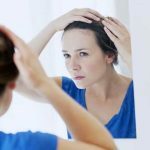 It is very helpful in avoiding greying of our hair and keeping them black naturally. If we use it on a regular basis, there would be no need to use chemical based hair colors or dyes for keeping our hair naturally black. A good old-fashioned hair and scalp massage increases the circulation of blood in the head and nourishes the hair with beta-carotene, vitamins and lots of minerals. The beta-carotene transforms and provides the hair with richness of vitamin-A. it also provides good fatty acids which stimulate hair growth. Using mustard oil revitalizes the hair and gives them a youthful vigor. 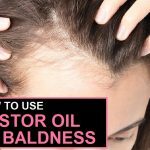 It also slows and stops hair loss or alopecia by making them healthier. Massaging with mustard oil helps repair damaged hair by providing the essential nutrients. By keeping hair healthily hydrated, mustard oil helps in preventing fungal growth. It also acts as a wonderful hair conditioner because it contains fatty acids and hydrates the hair and increases their thickness and fosters their growth. Mustard oil has been part of our cultures and is especially the tradition fuel for our diyas or earthen lamps. Owing to its richness in omega 3 and omega 6 fatty acids, vitamin A, D, E, and k, and antioxidants. Since the ancient times people have reaped its benefits in various ways. 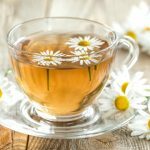 It also helps in healing the split ends, alopecia and hair discoloration and greying. It is also rich in selenium and zinc by composition whose deficiency leads to hair loss. Its massage also helps us strengthen the scalp muscles which help us retain our beloved hair for long. Below we listed out some effective mustard oil hair mask recipes for your healthy hair. Fenugreek or methi is another great item available in our homes which helps keep our hair healthy. When used along with mustard oil, it will nourish our hair and prove beneficial in preventing hair fall or hair graying. Take a cup of mustard oils and soak some methi seeds in it and leave it overnight. Next day warm the oil till the fenugreek seeds becomes greyish. Cool it down and apply it gently to the hair. Wait for 30 minutes then wash off with a mild/natural shampoo and then condition your hair. Repetitions: Do this mask once or twice a week for few months. Wait for about 30 minutes then wash it off with your regular shampoo and then condition your hair. Repetitions: Follow this method once or twice a week. Benefit: This hair mask will helps to give you soft and bouncy hair. Repetitions: Do this mask once or twice a week for few months for better results. 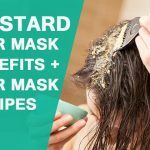 Benefit: This aloe vera and mustard hair mask helps to your hair from damaging. Repetitions: Follow this process once or twice a week. Benefit: This hair mask helps to give hair shine and soft. Curry leaves (kadi patta) is a great source of various vitamins, antioxidants and amino acids. When used along with mustard oil, it can be a wonderful hair supplement. It is advisable to use fresh curry leaves (kadi patta) for this purpose. Preparation time: 10 – 20 minutes. Repetitions: Follow this mask once a week. Boil this mixture for around 15 min. Repetitions: Do this remedy once a week. Benefit: A massage with this mustard oil and henna leaves mixture helps treat baldness and stimulate hair growth. Preparation time: 10 to 15 minutes. Repetitions: Follow this remedy once a week for few months. Benefit: This mask will helps to control dandruff and gives strengthen to your hair. Ensure that you always wash the hair before moving out in the open as oil gathers dust on it and dust can not only spoil the look of our hair but also harm them in more than one way. Applying it twice or thrice weekly is enough and a daily use is not essential. For those with long hair, it is advisable to do a put a turban on after the massage. If they are warmed up before applying it, it can give better results. It is essential to make sure that the quantity of oil we are using is right as using too less oil can give us a false sense of satisfaction of making our hair healthy with mustard oil without any real results. How To Get Rid of White Hair in Young Age? 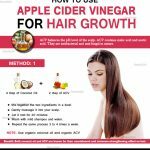 Apple Cider Vinegar for Hair Growth – How To Use It?